Mapping the millions of miles of neuronal “wires” in the brain could help researchers understand how those neurons give rise to intelligence, personality and memory, says Sebastian Seung, professor of computational neuroscience at MIT. For the past three years, Seung and his students have been building tools that they hope will allow researchers to unravel some of those connections. To find connectomes, researchers will need to employ vast computing power to process images of the brain. But first, they need to teach the computers what to look for. Piecing together connectomes requires analyzing vast numbers of electron microscopic images of brain slices and tracing the tangled connections between neurons, each of which can send projections to other cells several inches away. At the Max Planck Institute for Medical Research in Heidelberg, Germany, neuroscientists in the laboratory of Winfried Denk have assembled a team of several dozen people to manually trace connections between neurons in the retina. It’s a painstaking process — each neuron takes hours to trace, and each must be traced by as many as 10 people, in order to catch careless errors. Using this manual approach, finding the connectome of just one cubic millimeter of brain would take tens of thousands of work-years, says Viren Jain, who recently completed his PhD in Seung’s lab. Jain and postdoctoral associate Srinivas Turaga want to speed up the process dramatically by enlisting the help of high-powered computers. To do that, they are teaching the computers to analyze the brain slices, using a common computer science technique called automated machine learning, which allows computers to change their behavior in response to new data. With machine learning, the researchers teach computers to learn by example. They feed their computer electron micrographs as well as human tracings of these images. The computer then searches for an algorithm that allows it to imitate human performance. In their early efforts, it took the computer weeks or even months to come up with an accurate neuron-tracing algorithm. However, Jain and Turaga cut that time dramatically when they started using computers equipped with graphics processing cards, allowing them to perform computations 50 to 100 times faster. Now, it takes only days for their computer programs to produce a new tracing algorithm. Their eventual goal is to use computers to process the bulk of the images needed to create connectomes, but they expect that humans will still need to proofread the computers’ work. Jain and Turaga have reported their advances at the International Conference on Computer Vision and the Neural Information Processing Systems Conference. Olaf Sporns, a neuroscientist at the University of Indiana who first proposed diagramming the connectome in 2005, says that he originally did not think it would be possible to create a map of individual connections between single neurons, and thought it would be best to focus on higher-level connections between brain regions. “Doing such a microscopic level of resolution seemed to be infeasible at the time,” he says. “But now I’m coming around to the idea that something like that may well be possible.” The machine learning technology that Seung and his students are developing could be “a big leap forward” in making that kind of diagram a reality, Sporns adds. Last year, the National Institutes of Health announced a five-year, $30 million Human Connectome Project to develop new techniques to figure out the connectivity of the human brain. That project is focused mainly on higher level, region-to-region connections. Sporns says he believes that a good draft of higher-level connections could be achieved within the five-year timeline of the NIH project, and that significant progress will also be made toward a neuron-to-neuron map. 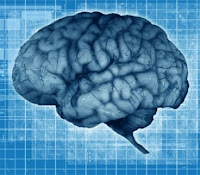 Some neuroscientists believe that mapping connectomes could have just as much impact as sequencing the human genome. Much as genetic researchers can now compare individuals’ genes to look for variability that might account for diseases, brain researchers could discover which differences in the wiring diagrams are important in diseases like Alzheimer’s and schizophrenia, says Turaga. Many of the research teams that have begun working on neuron-to-neuron connectome diagrams are starting with small pieces of the whole. These teams include a group at Harvard that’s focusing on the human hippocampus, a brain region involved in memory and learning. Other groups are starting with brain diagrams for smaller animals such as mice and zebrafish. Though only a handful of labs around the world are working on the connectome right now, Jain and Turaga expect that to change as tools for diagramming the brain improve. “It’s a common pattern in neuroscience: A few people will come up with new technology and pioneer some applications, and then everybody else will start to adopt it,” says Jain.